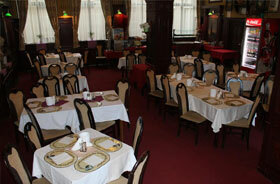 The hotel restaurant is in English club style and we offer here buffet breakfast . If you wish you can book the restaurant for your special events (weddings, conference, meetings etc. ).